To create a custom chrome, you will have to first remove the System chrome (default, drawn by the Operating System) and then the Flex chrome (which is rendered by Flex when System chrome is toggled off). If you run the application now, you will see a chrome which is rendered by Flex itself. To remove the Flex chrome, goto your application’s root tag. This could be <mx:Window> or <mx:WindowedApplication> and then set the showFlexChrome property to false. By doing this, you would have removed chrome all together from your application. It would now look this. The next step is to add your own controls for minimizing, maximizing, restoring, closing and dragging the window. This is can be done by using the framework’s NativeWindow class. The NativeWindow class is used for creating and controlling desktop windows for AIR apps. It contains methods for all the functionality we need for our custom chrome. To make the window draggable, add a container to your application (In this example, I’m using a red colored canvas). Next, add an eventHandler for handling the mouseDown event of the container. The eventhandler will call the NativeWindow class’s startMove method. 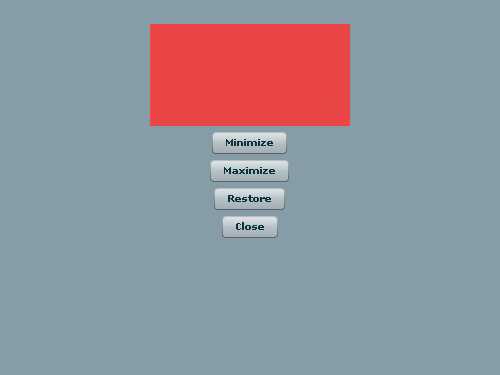 By doing this, the user can now move the application on the screen by dragging the red colored canvas. The window can be minimized, maximized, restored and closed by calling the NativeWindow’s respective function for each task. Great post. This is exactly what I was looking for! Thanks for such a simple explanation. Great tutorial ! Simple and very helpful ! However, there is an issue with Flex SDK 3.4 and I needed to speak to you. It would be great if you could mail me your cell no. I am from Mumbai too. i’m having a bit of a problem with this though. i’ve seen several different examples of disabling the systemChrome but for some reason it doesn’t work for me. systemChrome gets ‘none’ value, transparency gets ‘true’ (both in the descriptor) and the WindowedApplication tag gets showFlexChrome=”false”. is that all the values that should be adjusted or am i missing something? Thanks for this great tutorial. I made it work in a few minutes! Just one question, if I want to let the users resize the window, how can I do that? When a window uses system chrome, the chrome provides drag controls for resizing the window and moving around the desktop. 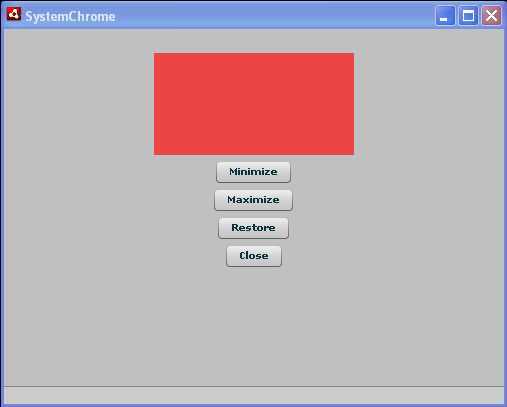 If a window does not use system chrome you must add your own controls to allow the user to resize and move the window. 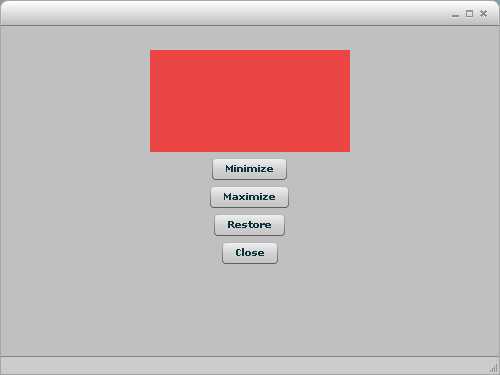 To allow a user to resize a window interactively, use the NativeWindow startResize() method. When this method is called from a mouseDown event, the resizing operation is driven by the mouse and completes when the operating system receives a mouseUp event. When calling startResize(), you pass in an argument that specifies the edge or corner from which to resize the window.